If you have ever heard the song “I want a Hippopotamus for Christmas,” you will appreciate why I am considering booze at noon. Fireball. Now with slightly more class & less judgment. 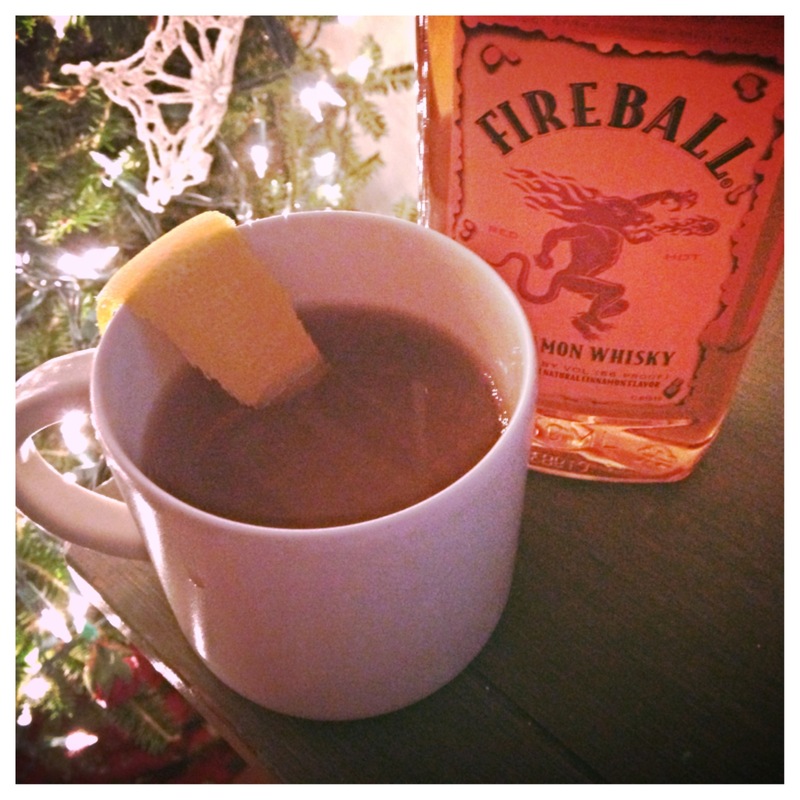 Of all the adult beverages we have here at Nummy, this one is the simplest and most seasonal. Even better – It’s the fastest way to get Fireball into your system since Matt Hinson moved back to Memphis. Stud your orange with cloves (i.e. jam cloves into the outside of an orange). Garnish each mug with a cinnamon stick and a slice of orange peel.